Born with a gift he didn't want, the ability to recognize the half-breed angels and demons that walk the earth in human camouflage, Constantine (Keanu Reeves) was driven to take his own life to escape the tormenting clarity of his vision. But he failed. Resuscitated against his will, he found himself cast back into the land of the living. Now, marked as an attempted suicide with a temporary lease on life, he patrols the earthly border between heaven and hell, hoping in vain to earn his way to salvation by waging war on the earthbound minions of evil. But Constantine is no saint. Increasingly disillusioned by the world around him and at odds with the one beyond, he's a hard-drinking, hard-living bitter hero who scorns the very idea of heroism. Constantine will fight to save your soul but he doesn't want your admiration or your thanks – and certainly not your sympathy. All he wants is a way out. When a desperate but skeptical police detective (Rachel Weisz as Angela Dodson) enlists his help in solving the mysterious death of her beloved twin sister, their investigation takes them through the world of demons and angels that exists just beneath the landscape of contemporary Los Angeles. Caught in a catastrophic series of otherworldy events, the two become inextricably involved and seek to find their own peace at whatever cost. Constantine Movie Prop Peplicas, Figures, Toys and Collectibles! 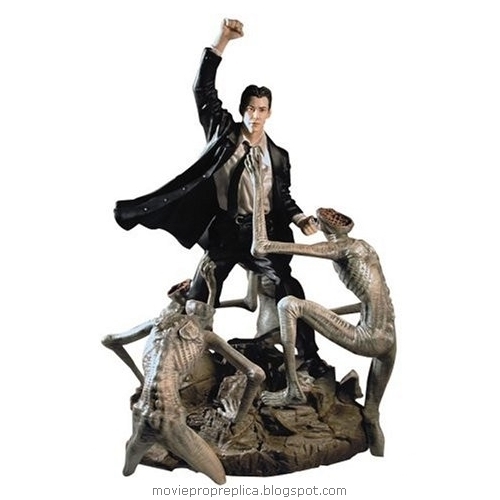 This hand-painted, cold-cast porcelain movie scene statue depicts Keanu Reeves as he appears in the upcoming film, Constantine. The statue measures approximately 10.25" tall and is limited to only 1,000 pieces. Includes a full-color certificate of authenticity. 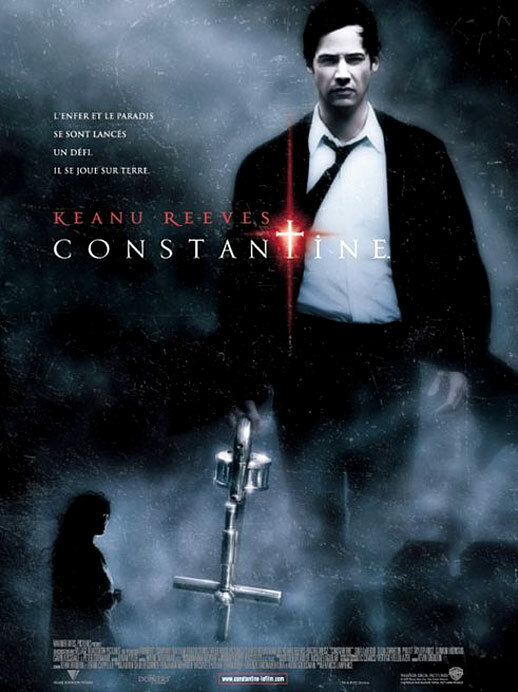 Based on the Warner Bros. Pictures film Constantine! 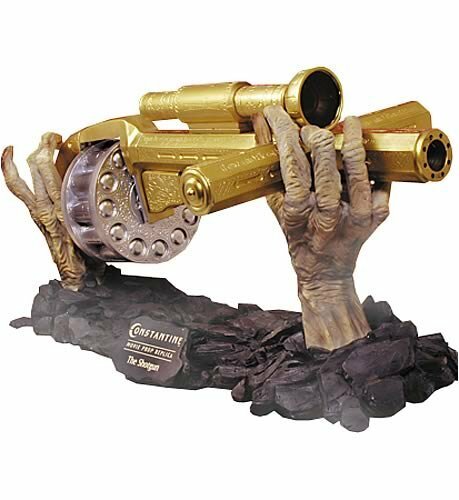 This hand-painted movie prop replica is molded directly from a casting taken from the original mold produced for the stunt prop in the film and is an accurate 'life-sized' movie replica of the Shotgun. It is held in place by demon hands on a cold-cast porcelain base. The Shotgun is not removable from the base. This replica includes a certificate of authenticity, measures approximately 10' highx10' deepx23' long and is packaged in an elegant black gift box with gold-foil stamping. This prop replica is strictly limited to 500 pieces!